This topic contains 6 replies, has 2 voices, and was last updated by Michał Krawczyk 2 years, 1 month ago. Facebook comments dont count on my posts. do you have the latest version of MDW? yes it’s Version: 4.3.6 and I’m using a child theme. We’ve checked the issue, along with the problems with the posts carousel and pagination. It occurs probably because of your changes in the child theme. Please check if the following problems occur in the main theme as well. the porblem occurs in main theme too. I tried this snippet after post content and it shows the number of comments. Indeed, I’ve made a double check on my test server and it’s not working properly too. Our team will fix that in the next week. I have sad news for you. We were working to solve that issue however, it’s not possible to fix it. 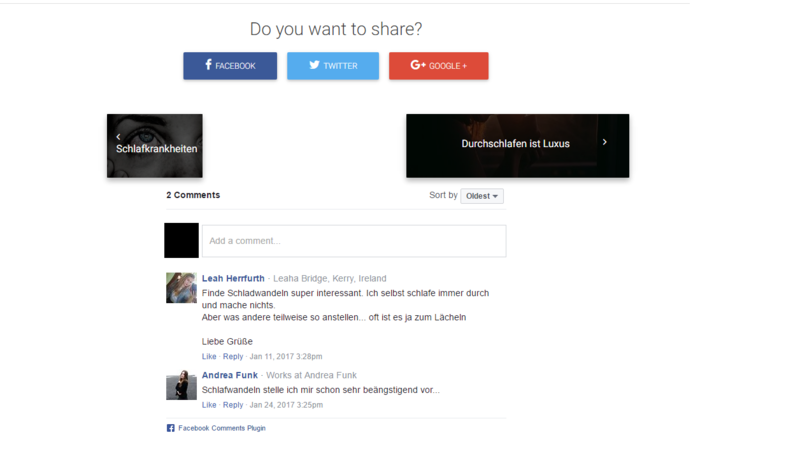 Facebook does not allow anyone to count their comments in WP. Counter works only for WP comments. We’ll hide this counter in the next update in order not to confuse our users – this is all we can do at this very moment.